Had an awesome private evening ride across town. The guide was awesome, the ebikes had some serious horsepower, and we found some beautiful viewpoints! 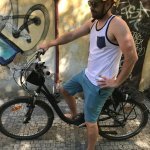 I was invited fór ebike ride and wasn't really sure what to expect. Honestly I didn't expect it to be the funnest way I have ever seen Prague. 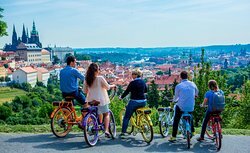 Prague isn't known for biking but with e bikes it really opens up the city and makes getting around fun and easy. Thanks for the tour. Joined my friend for a private tour of Prague. It was really fun and easy, we went to so many great locations for pictures and the information on the tour was good and educational. I highly recommend. 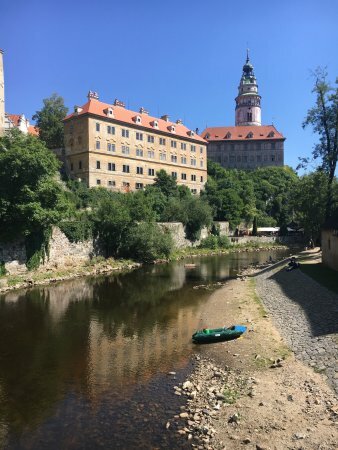 In 32 degrees heat, who'd have thought cycling in the city was a good way to see Prague? Turns out this was one of the highlights of our trip and cycling round the city on ebikes was effortless and actually gave us a cool breeze. We were lucky enough to have tour guide Michal, a fantastic guide, to show us the city. In impeccable English, he told us all about the history and culture of this incredible city. His degree included modern history and it really showed in his articulate descriptions, not only of Prague, but The Czech Republic. We cycled through parks, quiet streets and even the areas with some traffic felt very safe indeed. 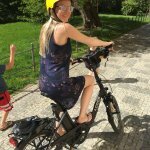 The ebikes were really fun and actually tremendous on the cobbled & hilly streets of Prague. It really gave us a sense of the whole city and Michal recommended other places to us for the rest of our visit. 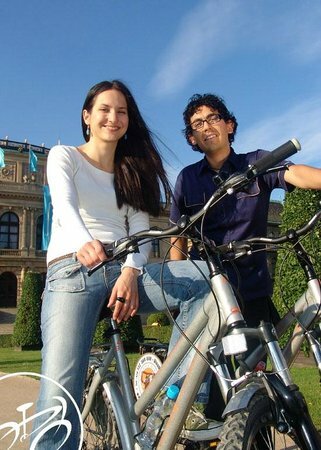 I would absolutely recommend an ebike tour as a great way to visit the city and wholeheartedly recommend Michal as a guide. I came and wanted to see as much of Prague in the little time I had. Decided to do this tour and was very happy about it. The e-bikes were fun safe and easy and I had a great ride. The guide was so smart and funny you have to try it when in Prague. Thanks again.